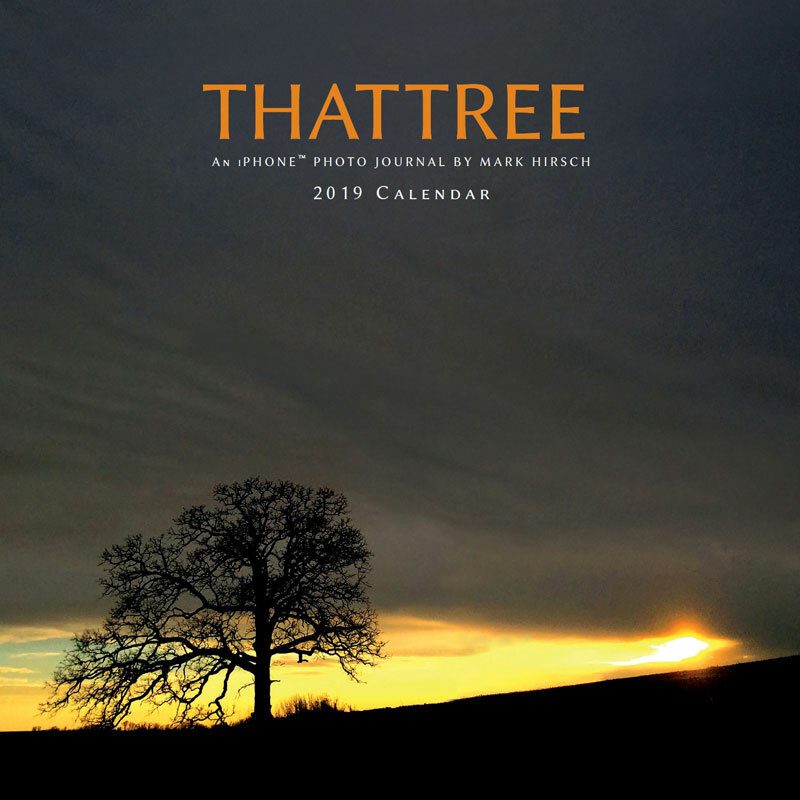 2019 CALENDAR (12" x 12") - Trees resonate deeply in the souls of millions of people. That tree spoke to photographer Mark Hirsch. She spoke of patience and healing. Using only the camera in his iPhone™ for an entire year, Mark would coax her stories and share her wisdom with an inspired and passionate Facebook following. Now that story of discovery and healing has been captured in this calendar for 2019. 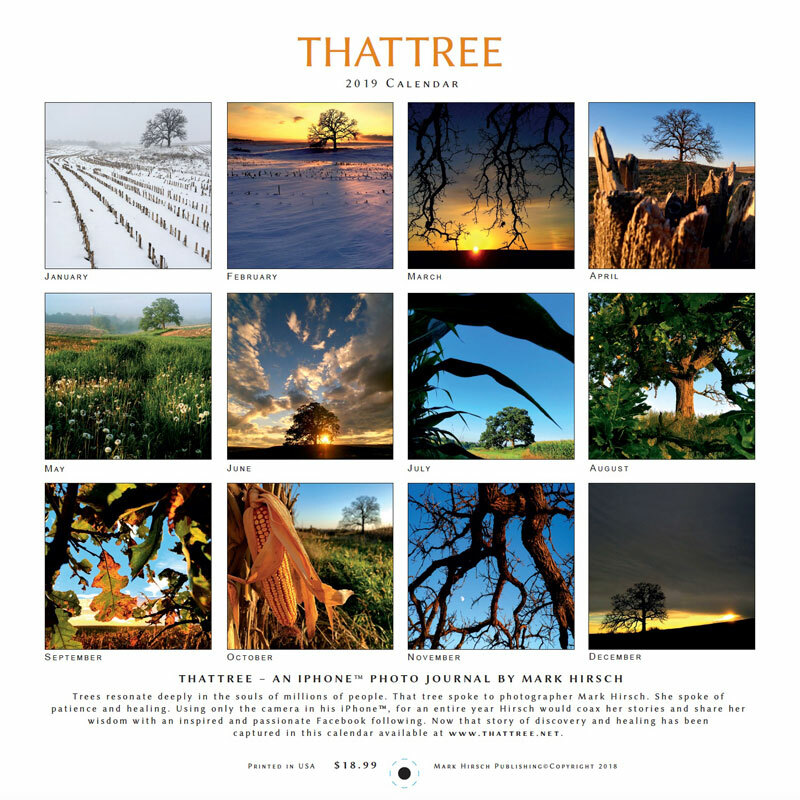 Add "That Tree" book and Receive Free Shipping!